Home of the great Murray River Giant Pumpkin Competition. 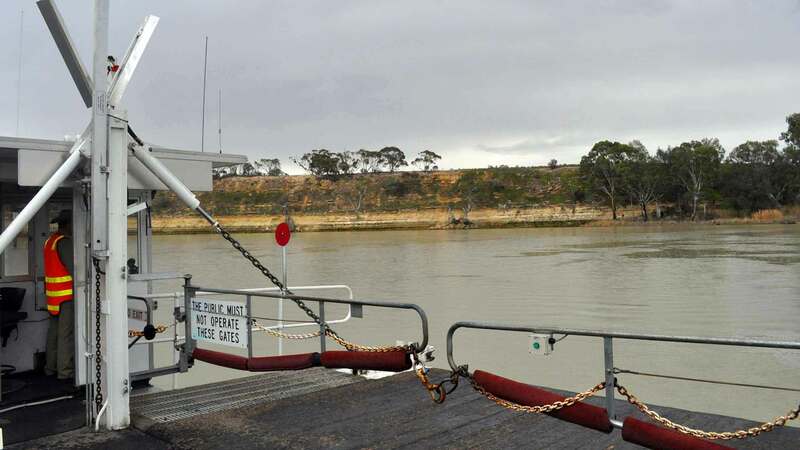 Cadell features one of the most amazing natural limestone cliff amphitheatres overlooking the magnificent Murray River, accessible wetlands and significant native plant life. This rich citrus-growing area near Morgan, the town of Cadell was named after Captain Francis Cadell, the first Riverboat Captain to navigate the Murray River in 1853. Home of the great Murray River Giant Pumpkin Competition, Cadell features one of the most amazing natural limestone cliff amphitheatres overlooking the magnificent Murray River, accessible wetlands and significant native plant life. 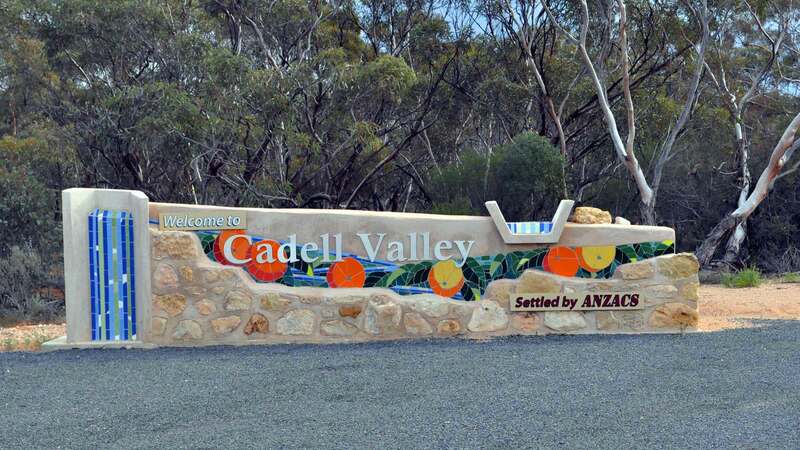 Cadell is also home to the famous family owned Caudo Vineyard, located right on the banks of the Murray River, near Hogwash Bend. The Cellar Door is located metres from the beautiful Murray River and its rustic feel blends in perfectly to its surroundings.From its crafted hard wood floors to its recycled red gum pillars brightly lit, you feel like you are drinking wine with the local wild life.When travelling from Waikerie, Cadell or Morgan by boat, this is the perfect destination to pull up and sample some of our local produce, even get a vineyard tour. 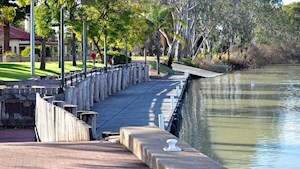 The vast lawned area provides the perfect setting by the river to enjoy a bottle of wine or two. Cadell regularly attracts ‘twitchers’ to its bird hides; and international botanists to the unique varieties of Prickly Bottlebrush. The trail through the wetlands is marked with informative signs about the birdlife and the ecosystem, and is fascinating to explore. Houseboaters and visitors can enjoy the riverfront lawned area, featuring majestic river cliffs as its backdrop – it’s the perfect place for a lazy ‘River Time’ picnic. There’s also a playground, barbeques and camping facilities available. Cadell is also home to the annual Cadell Harvest Festival on Easter Saturday which features quirky events like cockroach racing, the hay bale Easter Egg Hunt, a Carp throwing competition and the famous Giant Pumpkin Competition. Talk to the locals at the Cadell Club and enjoy true country hospitality and the best fish and chips you have ever tasted!!!! Campers, RV’s and Caravaners are welcome at the oval and take the time to meander through the Cadell Historic Interpretative Centre. For walking trails in Cadell visit www.cadell.org.au/html/walks.html.